Glad you're feeling better! You look fantastic! 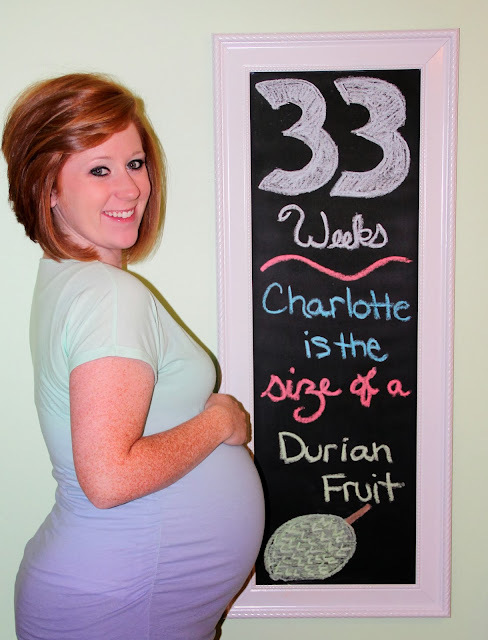 33 weeks, yikes! So close. You are so cute. I love the chalkboard idea! !